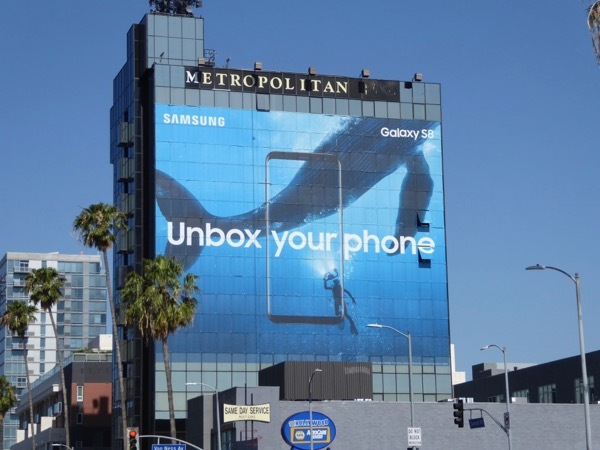 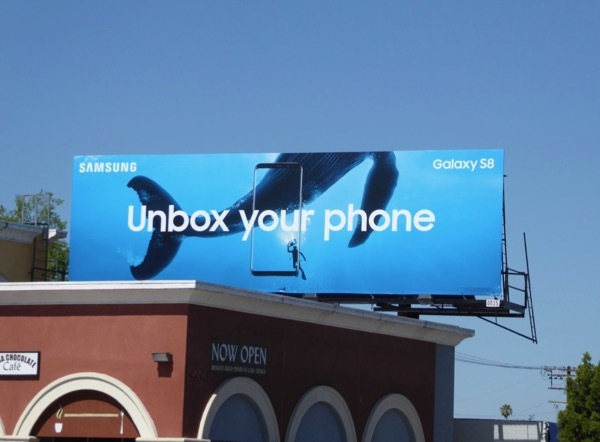 To showcase their new Infinity Screen display which stretches all the way the the edge of their Galaxy S8 smartphone, Samsung is showcasing their device with this eye-catching 'Unbox your phone' outdoor ad campaign. 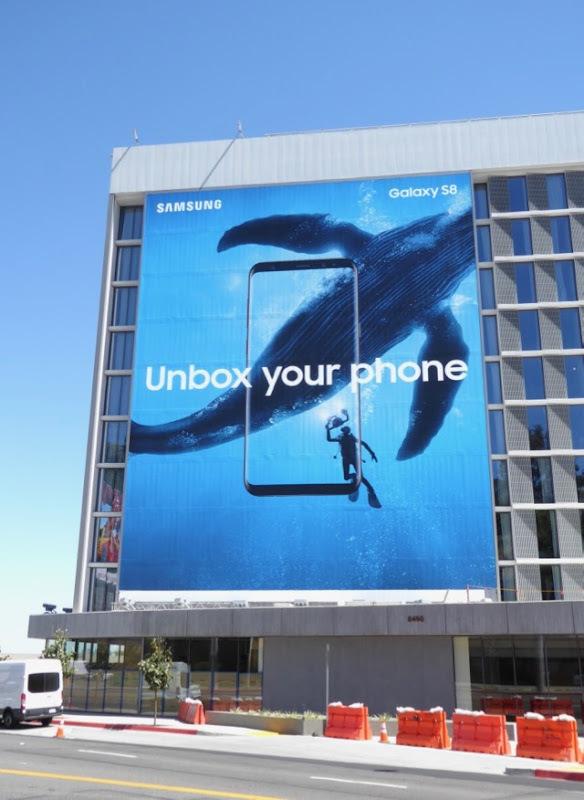 Swimming with whales in nature, the tech brand wants to show you how immersive and boundary breaking their smartphone design is compared to others. 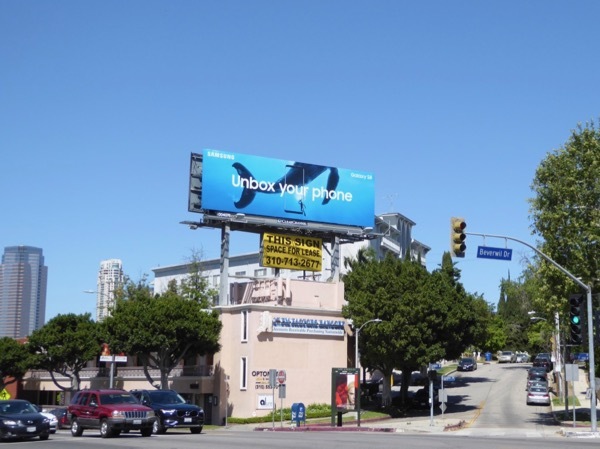 These arresting 'Unbox your phone' billboards were snapped along Pico Boulevard and the Sunset Strip on April 29, 2017 and they certainly stand out in the city skyline. 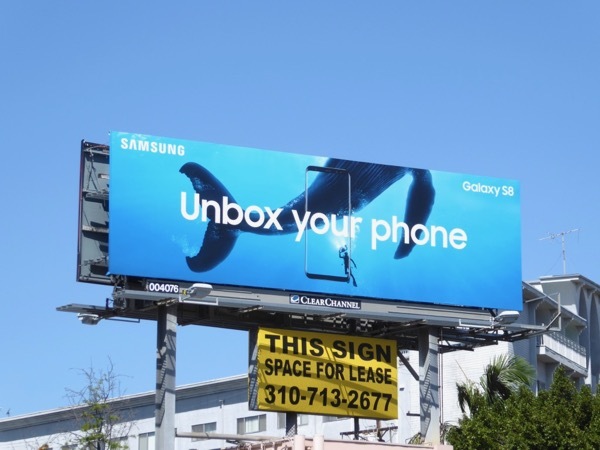 Be sure to compare these cool ad creatives to previous billboards for Samsung's Galaxy smartphones in recent years in the U.S., which were less lifestyle and more product shot focused. 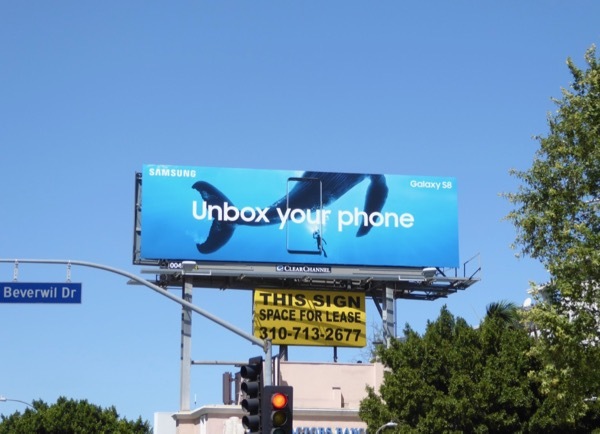 Following the debacle of Samsung's exploding batteries for their Galaxy Note 7, these gorgeous underwater billboards certainly make for a whale of a distraction. 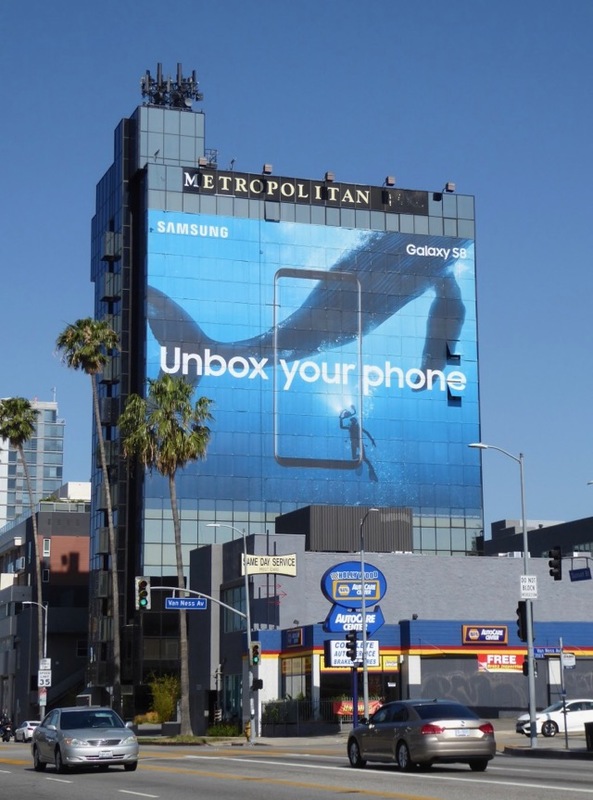 UPDATED: Here's also another super-sized ad creative for the outdoor campaign, this one spied on the side of the Metropolitan Hotel in Hollywood along westbound Sunset Boulevard on May 28, 2017. 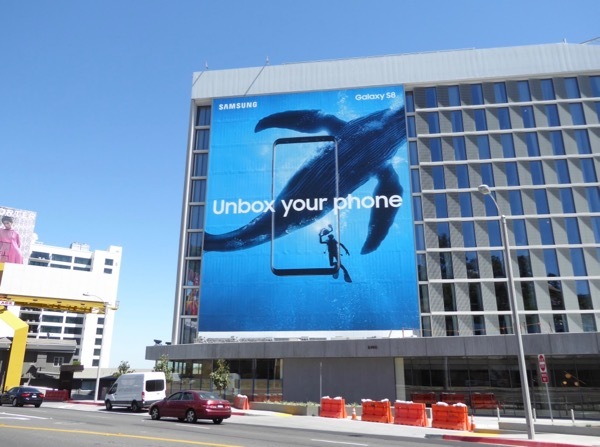 There's something magical about seeing these majestic creature in their natural habitat, even if it is on the side of a building or a billboard hoarding on this occasion.